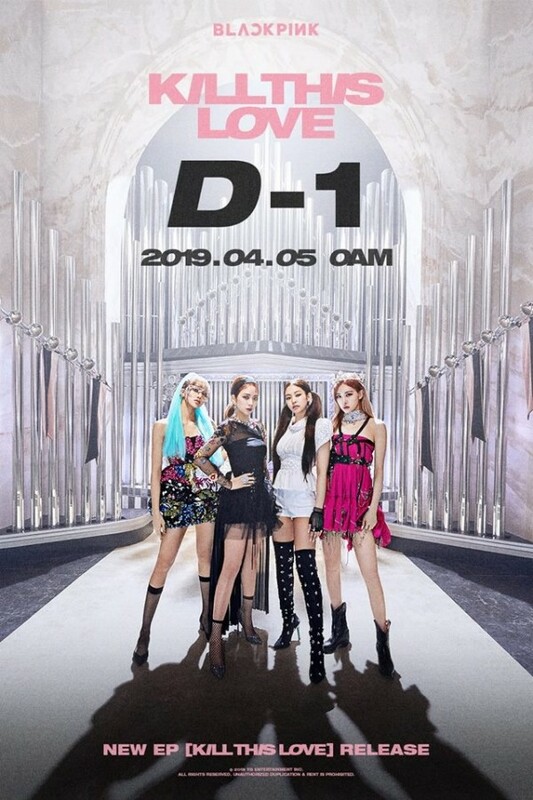 On Apr 4, BLACKPINK release D-1 poster before the release of their new EP ‘Kill This Love’. BLACKPINK has reviewed part of the choreography of ‘Kill This Love’ through MV teaser released on Apr 3 through official channel. Meanwhile, BLACKPINK will have a comeback Vlive on Apr 4 11PM(KST) to officially introduce their new album, release MV making film and share their future activities.